A silly, funny book about a little frog that goes out to buy a baguette alone for the first time. 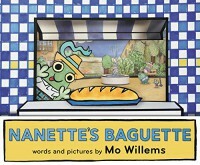 The most impressive thing about this book is how many words Willems found that rhyme with baguette. The other impressive thing is that he we able to take such a simple story and make it absolutely hilarious. Very funny. 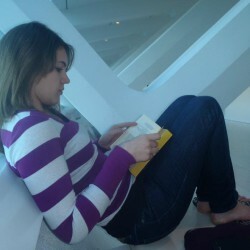 I really enjoyed the illustrations.